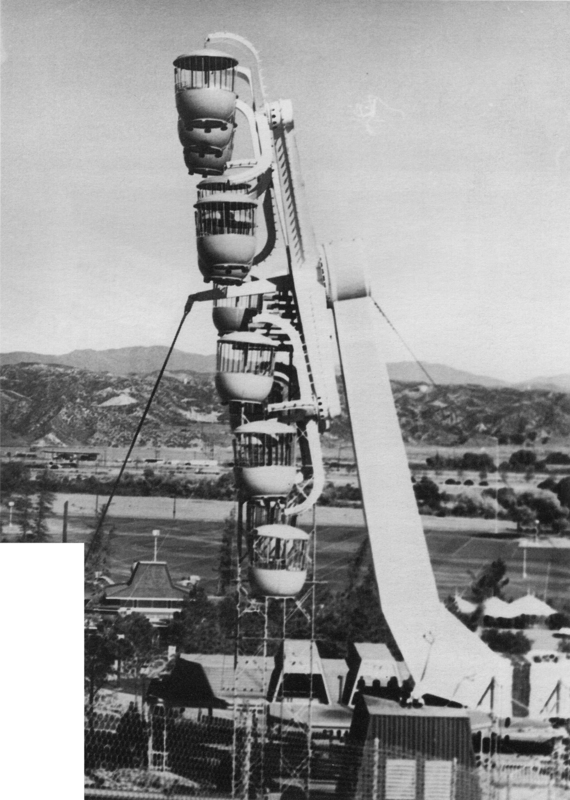 Not unlike a common carnival ride — only much bigger — Galaxy was a dual-armed Ferris wheel that operated on a pulley system. As one arm went up, the other went down. Galaxy thrilled guests from opening day in 1971 until 1980. Like the Sky Tower, it was fabricated by industry leader Intamin AG of Wollerau, Switzerland. "Intamin" is an acroynm for INTernational AMusement INstallations.